JBL EON SERIES DJParts - All Variety of Parts that DJ Needs. Representing the next generation of its groundbreaking and industry-standard EON® series portable loudspeakers, today JBL is introducing the EON500 series. 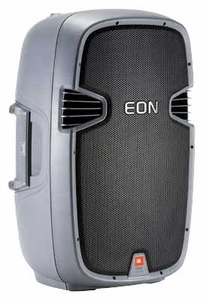 The unveiling of the EON500 series self-powered and lightweight speakers immediately raises the bar in the category of molded powered loudspeakers in all aspects, from industrial design to sonic performance, integrated utility and portability.